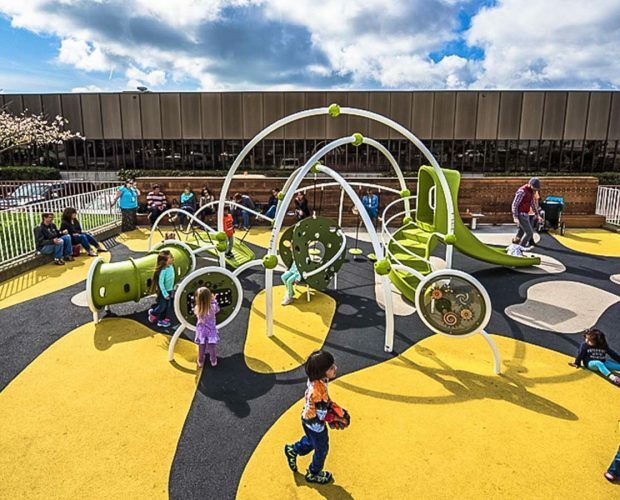 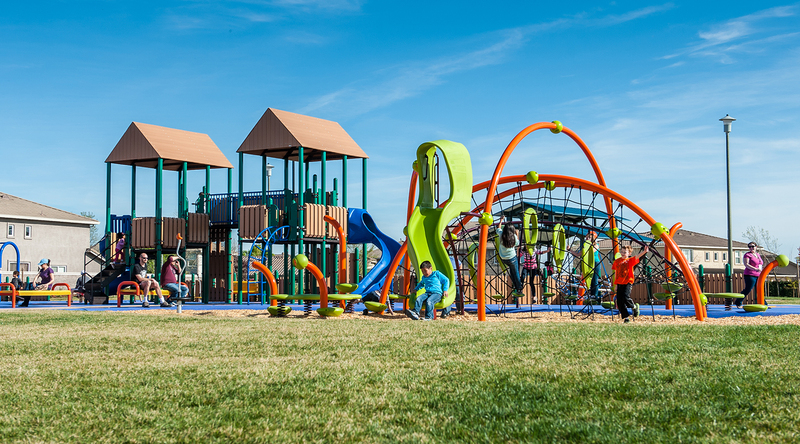 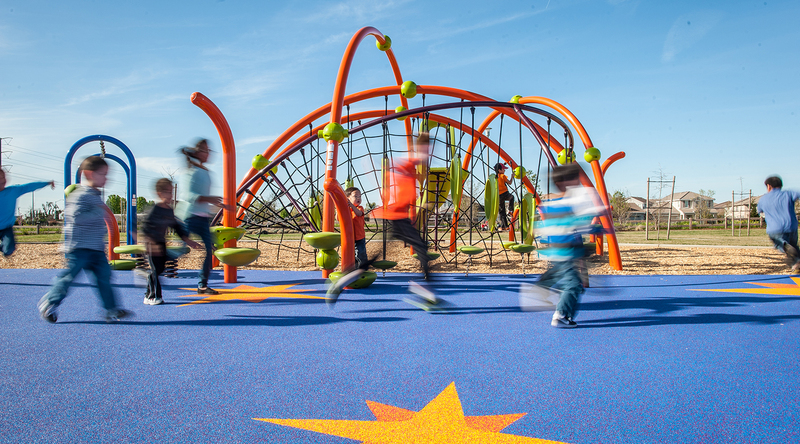 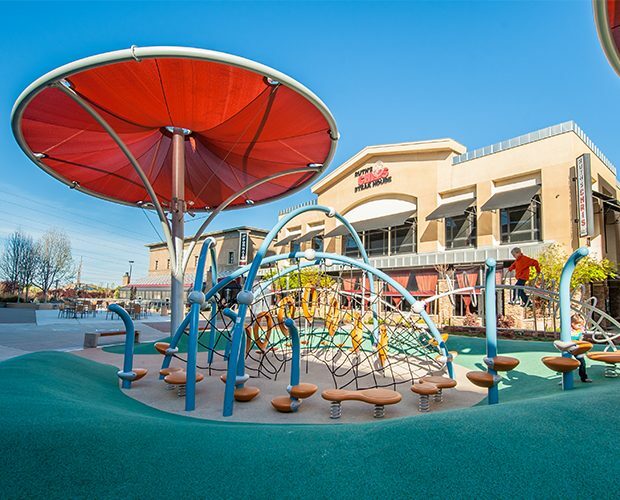 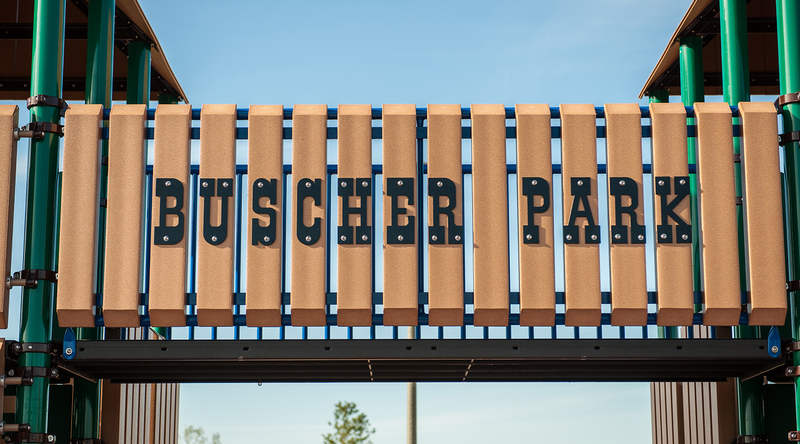 Inspired by a former member of the Lewis & Clark Expedition who eventually settled in the region, the Cosumnes Community Services District chose to build a unique, customized playground that would celebrate the theme of “Expedition” in their Buscher Park. 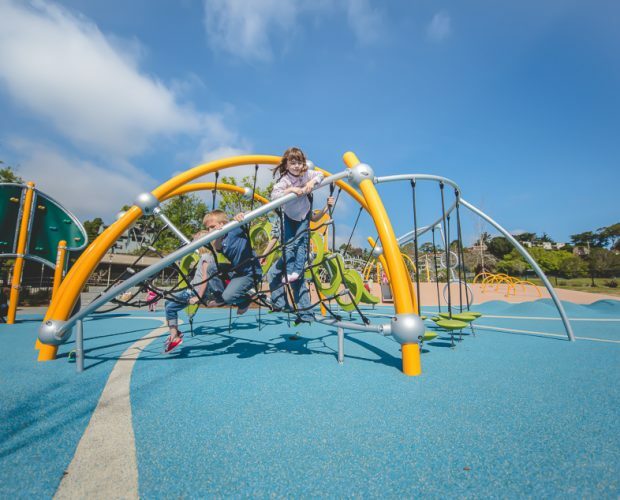 Erik Vierra, Landscape Assistant with the Parks & Recreation Department, says the District chose Ross Recreation and Landscape Structures to replicate an early 19th century frontier fort as the main feature of the park. 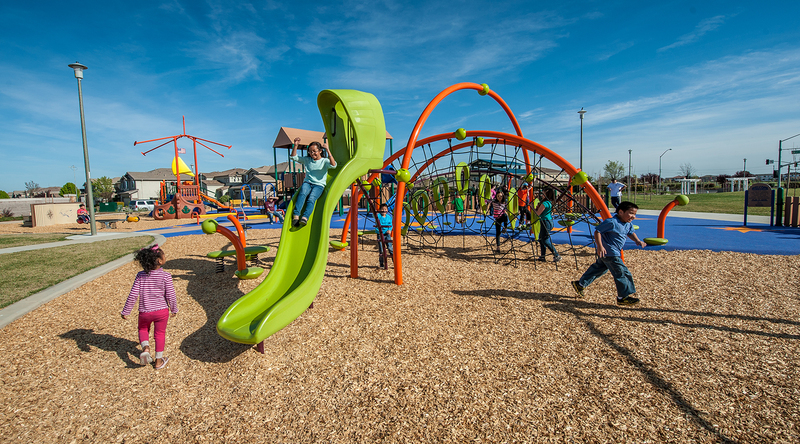 The custom fort structure features recycled plastic “timbers”, slides and unique cable climbers. 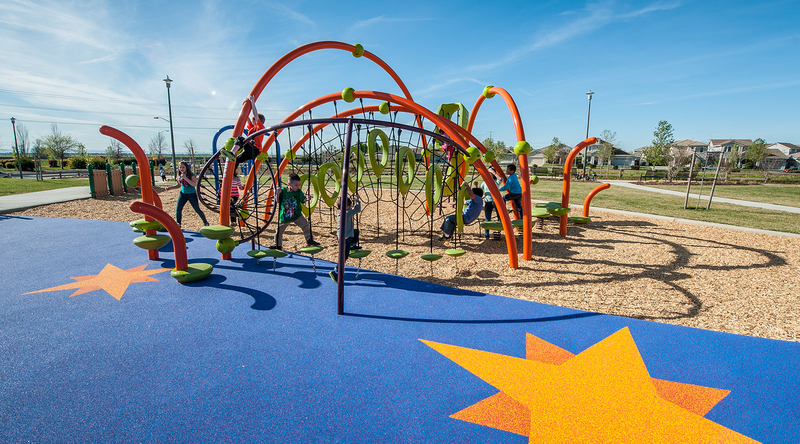 The colorful poured-in-place surfacing has compass roses inlaid in the vibrant blue safety surfacing.